The FIRST2RUN project aims at demonstrating the techno, economical and environmental sustainability at industrial scale of a first-of-kind value chain where low input and underutilized oil crops grown in arid and/or marginal lands and not in competition with food or feed, are exploited for the extraction of vegetable oils to be further converted into bio-monomers as building blocks for high added value bioproducts, biolubricants, cosmetics, bioplastics, additives through the integration of chemical and biotechnological processes. By and co-products from the process will be valorised both for energy, feed for animals and added value chemicals productions in order to increase the sustainability of the value chain. Standardization, certification and dissemination activities will support the project in relation to increased marketability as well as social acceptability of developed biobased products in view of their penetration in the market. 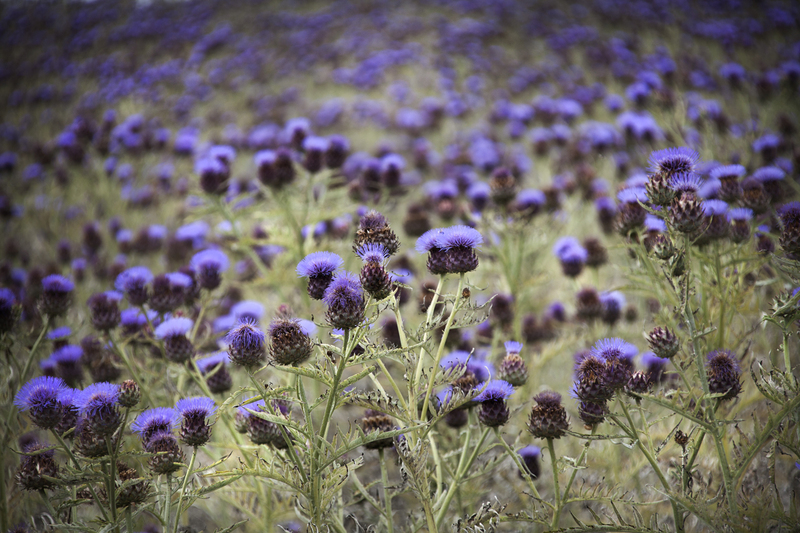 Large scale cultivation, thanks to strong involvement and support of local farmers, of cardoon crop (up to 3.5 kha) through the application of low input optimized technical/agronomic protocols. Implementation of innovative mechanical oil extraction techniques. Increase of the energy independency of the biorefinery from fossil energy sources through the implementation of industrial systems for the production of bioenergy from lignocellulosic biomass. Definition of a strategy and measures to be undertaken towards the standardization and certification of the developed and validated bioprocesses and bioproducts for the removal of market barriers, assuring safety, increasing the compatibility and promoting common technical understanding. Integration of chemical and biotech processes for the developed biobased materials in the formulation of bioproducts with improved technical performances, biodegradability and compostability, such as biolubricants for different applications, bioplastics and cosmetics. Creation of new employment opportunities. Push to adopt models of collaboration that could make the relationships among the different key players of the whole value chain more effective, and promotion of communication activities that could not only foster an appropriate culture and level of knowledge, but also the implementation of stakeholder engagements awareness of the social and market acceptability (from converters as well as end users) of sustainable chemical products from renewable resources. The project has been broken down into 8 Work Packages (six technical and two non-technical WPs), each targeting partial developments concurring as a whole to the achievement of the project targets. 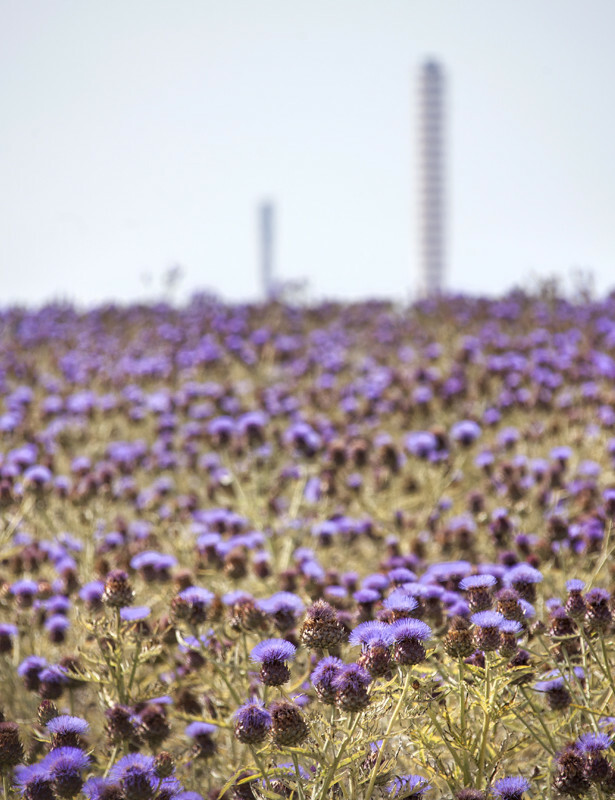 In WP1 – Feedstock: oil crops, a demonstration of the agricultural and industrial sustainability of a large scale cultivation of cardoon in identified marginal lands, is carried out. WP1 includes the implementation of agronomic protocols and the enhancement of all the steps involved during farming (i.e., harvesting, separation, storage and transportation of the different fractions of the starting lignocellulosic biomass) in order to reduce the required inputs, with a particular attention to a proved and innovative oil extraction process from seeds, with low energy requirements and high oil yields. WP2 – Chemical and biochemical conversion of vegetable oils into biodegradable esters is dedicated to the development and the optimization of a medium scale process for the production of biobased monomers, i.e., pelargonic acid and azelaic acid, starting from the oil deriving from crop seeds, and the subsequent chemical and biochemical esterification of the biobased carboxylic acids, in view of the industrial scale up in WP3. For this purpose, all the features of the different steps of the process must be analyzed and optimized: the catalysts and biocatalysts used, process parameters linked to the oxidative cleavage process and to the esterification, as well as the downstream processes towards high purity intermediate and final products (e.g., efficient separation and purification both of the monomers and esters). Optimized protocols proven at pilot scale in WP2 will be the basis for the design and implementation of the demonstration phase in WP3. WP3 – Scale up is focused on the demonstration of the feasibility of the processes analysed and optimized in WP2 in order to reach a large scale production of building blocks (20,000 ton/year), biodegradable oils (10,000 ton/year) and compounded bio-polyesters (50,000 ton/year). Starting from existing facilities, WP4 aims at developing all the improvements and adaptation activities needed to reach the targeted productivity. In WP4 – Biobased products formulation and validation, samples of biobased materials produced in WP2 and WP3 will be validated thanks to their transformation into biobased products, i.e. biolubricants, bioplastics and cosmetics. Technical performances, biodegradaibilty and compostability of the developed biobased products will be evaluated in order to identify possible improvements of the biobased materials. WP5 – By and co-products is dedicated to the valorisation of by- and co-products obtained within the entire value chain, in terms of production of both energy and high added-value compounds, in order to increase the environmental and economic sustainability of the whole process. The side-streams compounds that can be recovered and exploited include lignocellulosic residues deriving from the cardoon crop, by-products from the extraction process of oils from seeds (i.e., the panel), as well as the glycerol produced during the oxidative cleavage of the high oleic oil obtained from the oils extraction from the seeds. In WP6 – Sustainability and standardization, starting from a market assessment that shall ensure the economic profitability of the whole process and the competitiveness of the biobased materials against the oil-based compounds, the sustainability of the entire value chain is evaluated in terms of technical, environmental and social aspects. Through the application of LCA and S-LCA and the definition of a strategies to reach standardization of the targeted biobased materials, further improvements are carried out to strengthen the sustainability and the economic competitiveness of the biobased compounds, increasing also the understanding and awareness in customers and stakeholders. In WP7 – Dissemination and exploitation activities are carried out in order to publicize the most relevant results achieved within the processes among the targeted audience and stakeholders, as well as control and ensure the proper handling of the Intellectual Property. In WP8 – Management and coordination of the project and of all activities within the consortium are carried out to ensure an efficient implementation of the project itself, including in terms of administrative and financial aspects. This project has received funding from the Bio Based Industries Joint Undertaking under the European Union’s Horizon 2020 research and innovation programme under grant agreement No 669029.